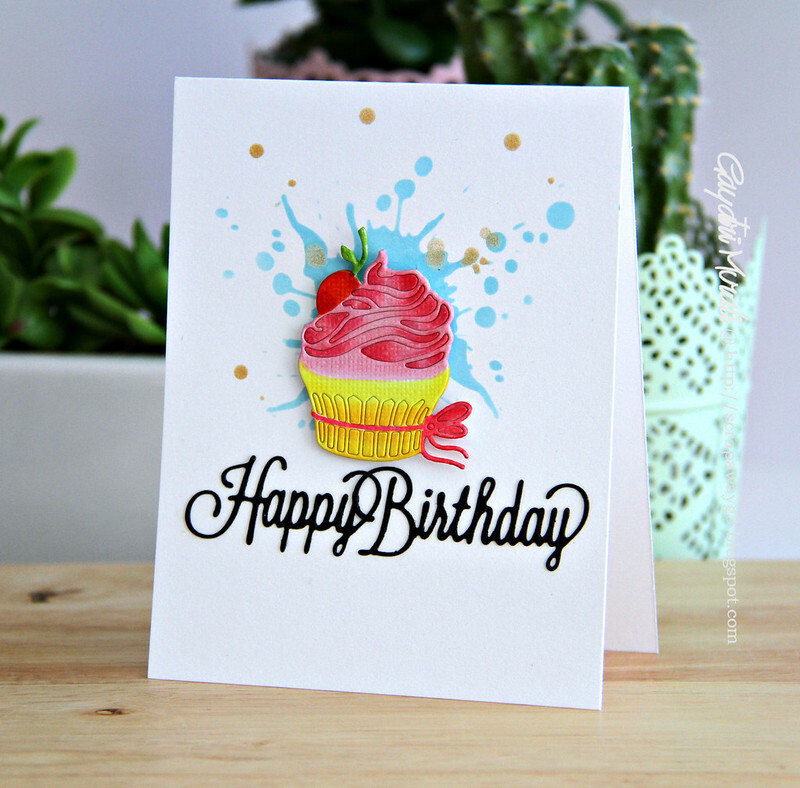 Sharing with you today a cupcake card using beautiful Penny Black dies. This cupcake die from Penny Black called Sweet Confection is a very detailed cupcake die I have seen. The die is also stylish that I wanted to make it the focal point on the card. I die cut a few cupcakes and stacked glued them to get dimension. I coloured the top layer of the cupcake with copic markers, adding shading and shimmer using Wink of Stella pen. 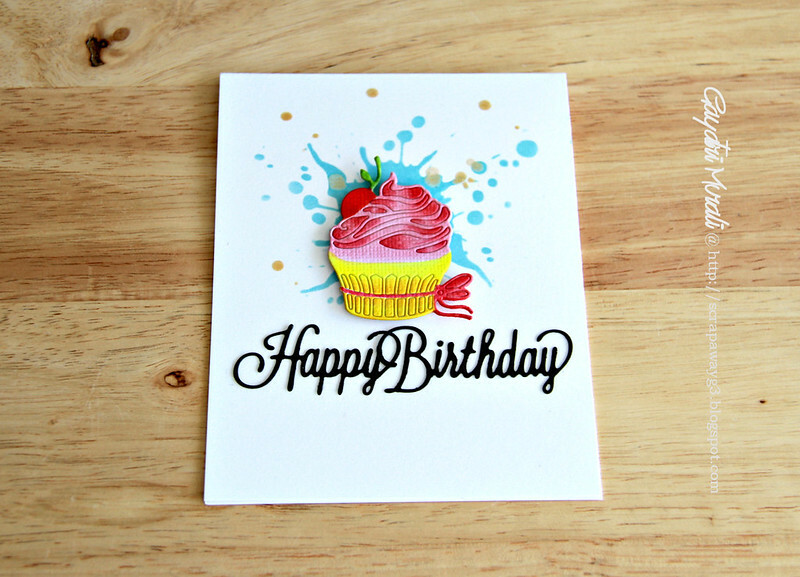 To highlight this pretty cupcake on my card, I added some blue splatter using Tim Holtz Splatter stencil. 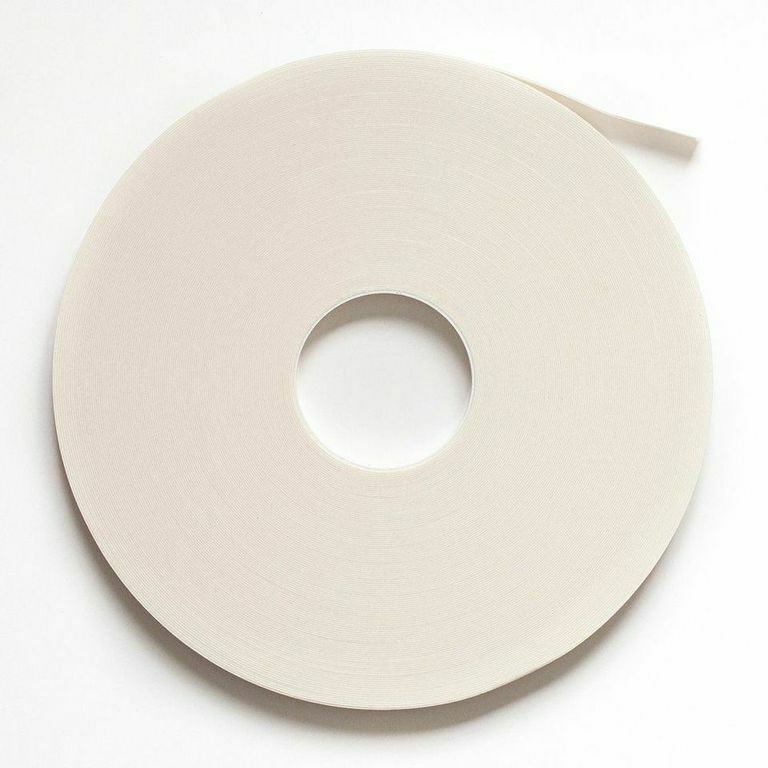 I thought about sponging blue ink inside a circle mask or just freehand sponging blue ink on the background but this stencil was right there on the desk staring at me. So I used the stencil instead. I sponged Tumbled Glass distress ink and also added some gold spatter. The cupcake is adhered using foam adhesives although I had stacked a few layered of the cupcake die cut. I love the raised effect and shadow the foam gives rather than glued the stacked die cut glued flush on the card front. The sentiment is also from Penny Black called Celebrations die set die cut in black cardstock and glued to the card front. 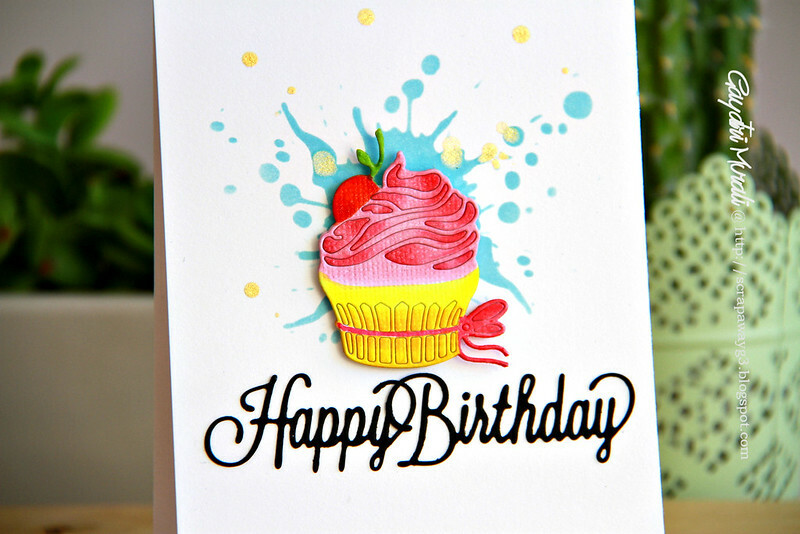 I love the simplicity of this card and how the cupcake is the focal point with its beautiful colours highlighted. The shimmer is just gorgeous under light. Hope you like it. Gorgeous ! Both the splatter and cupcake are on my wishlist ! The splatter is the special touch, but I love the color technique too! !